Ingrijire reparatoare pentru un par matasos si stralucire vizibila. Varfurile despicate si deteriorarea parului sunt reduse. Complexul Natural Care imbina efectul de intarire al siropului de artar cu proprietatile Aquarich©. Aquarich© este o combinatie fortifianta din ovaz negru si lecitina care s-a demonstrat ca imbunatateste structura firului de par si stralucirea acestuia. In plus, aloe vera ofera parului vitaminele, mineralele si aminoacizii de care are nevoie. .
Mod de utilizare: Distribuiti peste parul umed si masati, apoi clatiti bine. Sodium chloride/table salt. Deployed in cosmetics as an auxiliary substance to thicken surfactant products, such as shampoos and shower gels, for example. Inulin. A polysaccharide from chicory root. Has a conditioning and caring effect on the hair and skin. An active cleansing substance/surfactant, SLSA. A surfactant of plant origin with excellent foaming properties. It is often confused with the much more frequently used and less expensive sulfate surfactants SLS (sodium lauryl sulfate) and SLES (sodium laureth sulfate) found in conventional products. An active cleansing substance/surfactant. A very mild and very easily biodegradable surfactant of plant origin. An active cleansing substance/surfactant. A very mild and very easily biodegradable surfactant of plant origin (based on coconut oil and glucose). An active cleansing substance/surfactant. A very mild and very easily biodegradable surfactant. An emulsifier from regrowing raw materials: plant glycerin and plant oleic acid. Binds oil and water. Cares for the skin. Hydrolyzed walnut extract. Extract of unripe, green walnut. Particularly rich in plant phenols. 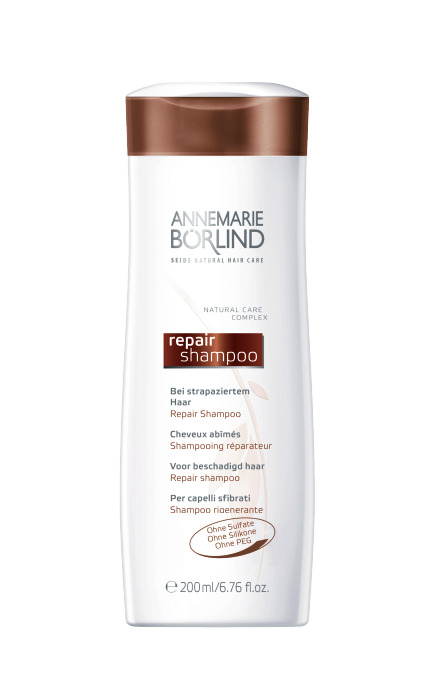 Protects damaged hair against further oxidative stress and can therefore delay fading of non-natural hair colors. Sodium salt of pyrrolidone carboxylic acid (PCA). Has a moisturizing effect. PCA is the main component of the natural moisturizing factors (NMFs) in the skin's corneous layer. Lysolecithin. A substance similar to fat, with emulsifying properties. Can be found in vegetable oils from which it is derived. It cares for the skin and hair, and improves combability. Special lecithins can be made into liposomes in which active ingredients can be encapsulated and protected, improving their bioavailability when applied to the skin. Maple syrup from organic farming. Has a moisturizing effect due to the sugar and minerals it contains. Hydrolyzed wheat protein. Obtained by enzymatic hydrolysis of wheat germ. Supplies the hair with moisture and improves its combability and condition.